Every minute that I work with all the HOME volunteers I tell myself it cannot get any better than this. I AM WRONG. It does get better. Every single day it gets better. Every time someone stops me to make a donation or ask about HOME and how they can help, IT GET's BETTER! 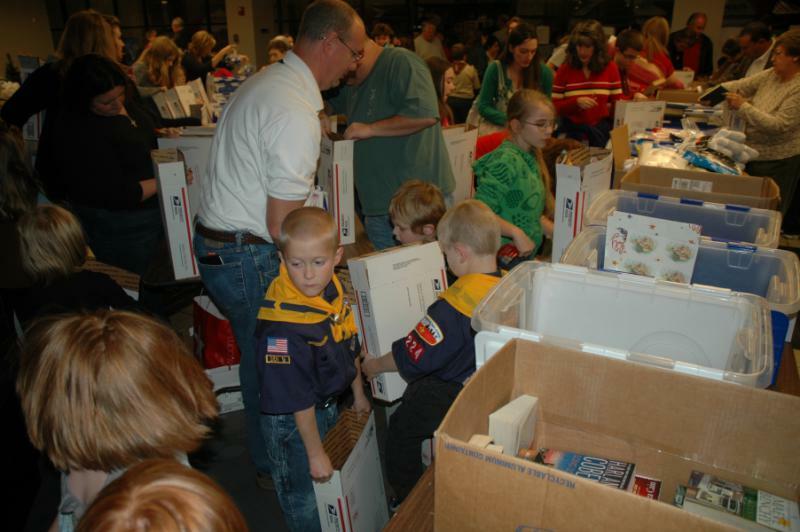 And the 2010 Christmas Packing Party was proof that it gets better every single time. 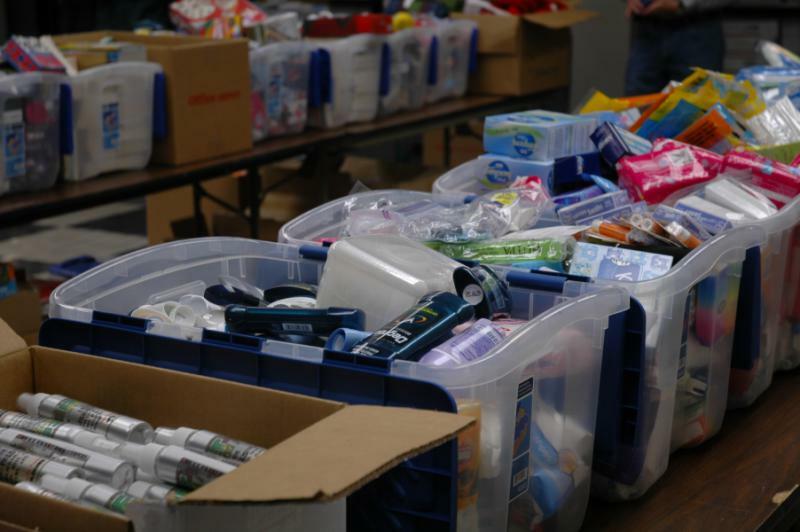 To all HOME volunteers and beyond: Not only did everyone do an outstanding job with the collection of donated items, letters, cards, money	and packing, you never cease to be amazing. 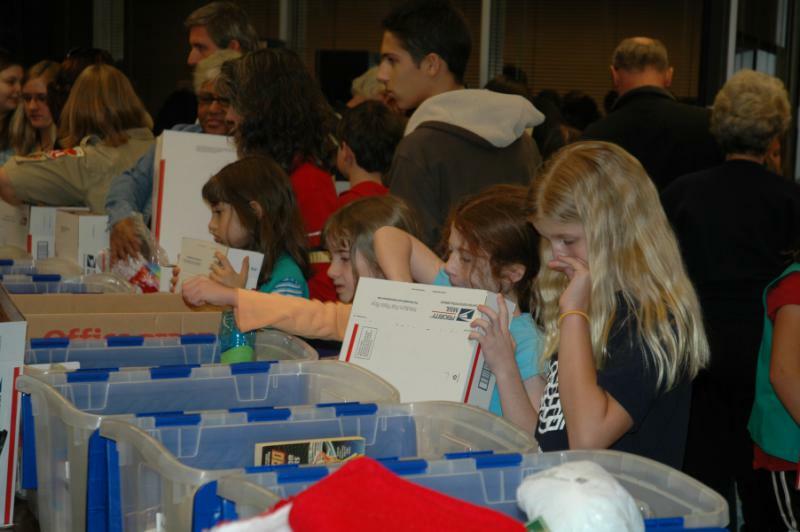 On the evening of December 2nd in among the controlled chaos, 501 flat rate boxes were packed with some of the best items and letters I have ever seen. 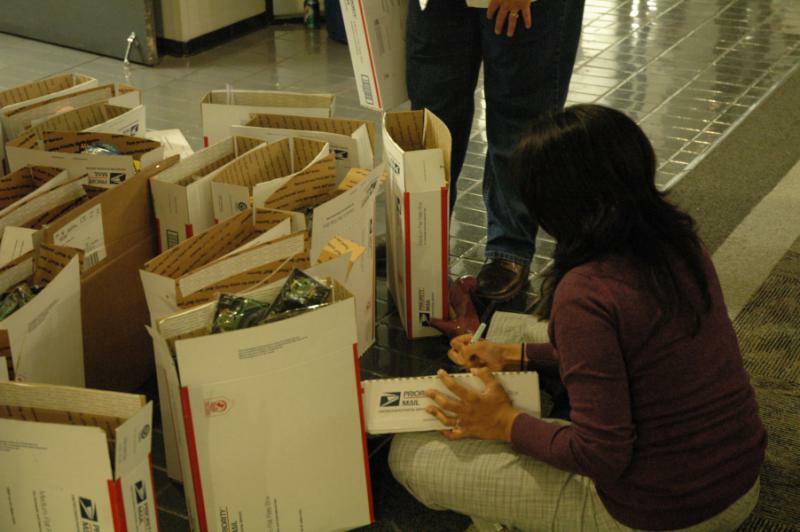 The next day even more items were delivered to the HOME office which culminated into another 179 boxes ready to go. 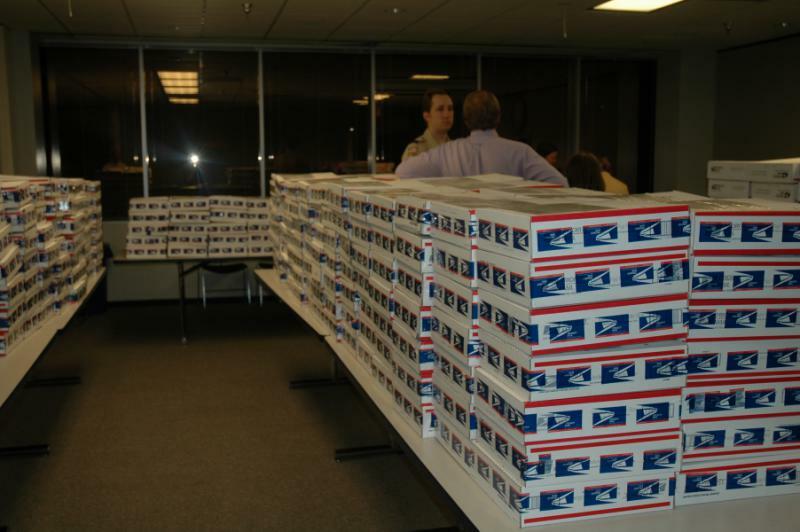 This total brought us to 680 boxes that will be mailed out on behalf of ALL OF YOU, to our well deserving military serving all over the world. We have addresses in Africa, South Korea, Germany, Iraq, Afghanistan and Kosovo. HOME has certainly beaten their previous totals in shipments and now we stand at 1002 packages and items are still coming in and being prepared for shipment. 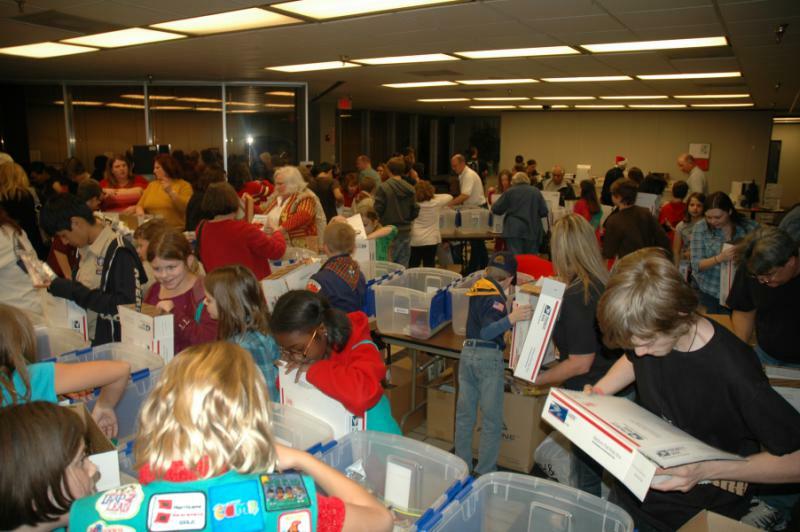 We have had groups hand sewing Christmas stockings and filling them, Scout troops collecting items, Women's Church groups crocheting hats, thousands of letters from CCISD, and many more from Pearland ISD students not to mention many many Christmas Cards going to Lundstuhl Hospital for our recovering soldiers. 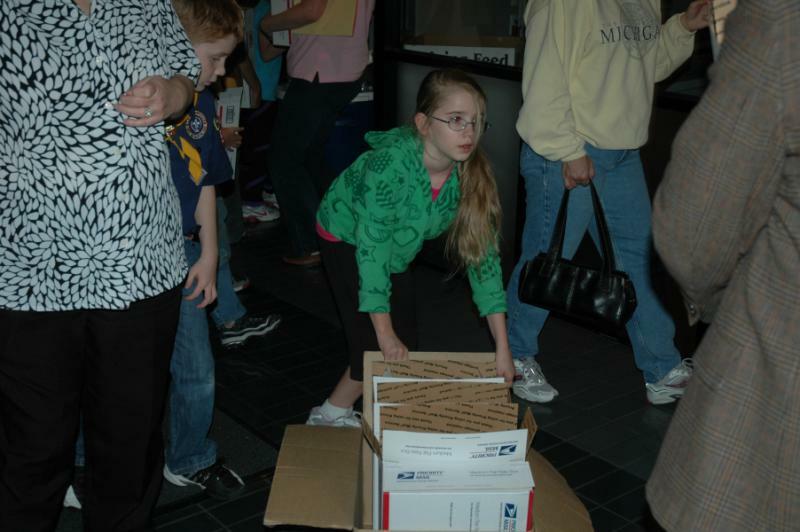 Many cards and letters are still coming in from Pearland Junior High East and will be included with the items that are still coming in for our military. It is a great combined community effort from the youngest to the oldest, from the simplest item as a tooth brush to special ordered bug repellant. This is truly a joint effort and I cannot thank each one of you enough for all your efforts, thoughts, prayers and imagination to Help Our Military Endure.